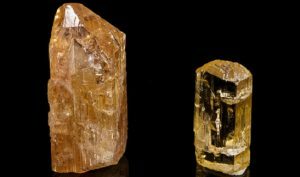 For centuries, Topaz has been associated with yellow, so it was commonly believed that all yellow Gems were Topazes, and all Topazes were only yellow. Today we know that Topaz appears in various colors: from colorless to red, pink, purple, yellow, orange and brown, and it can also have different shades and saturations. Some Topazes grow in metamorphic rocks, others in hydrothermal veins, but most are found in the cavities of igneous rocks such as granites or pegmatites. 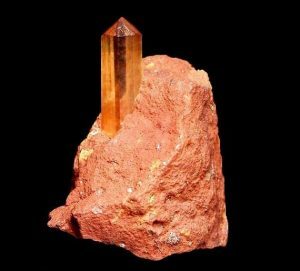 In ancient times, especially during the Middle Ages, Topaz was believed to heal physical and mental disorders as well as prevent death. The ancient Greek, even more imaginative, believed the stone had the power to make them invisible. Among the most precious kinds of Topaz there are certainly the Imperial Topaz, Yellow Topaz, Brown Topaz, Pink Topaz and Sherry Topaz (trade name used to indicate the yellow-brown variety). Imperial Topaz gets its name from the Russian tsars of the 17th century who were this gemstone lovers. It is said that the Tsar wore the Topaz only if it emerged from the Russian soil. Even today there are some deposits in Russia, located in the Ural Mountains. The Imperial Topaz usually has few inclusions, and therefore belongs to the category of eye-clean gems. The famous “Blaze Imperial Topaz” is a 97.45 carat gem displayed by the Field Museum of Natural History, Chicago, USA. Another one of the most well-known topaz gemstones is the Braganza Diamond, which became so famous not because of its beautiful color (in fact, this topaz is colorless), but because of the fact that for centuries it have been considered a 1680 carat Diamond! 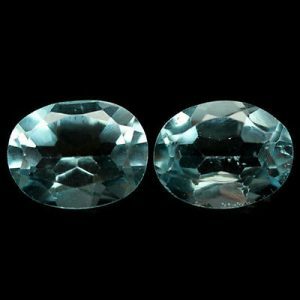 Blue Topaz, extremely rare in nature but abundant on the market, is always the result of one or more treatments. After the treatment Topaz can appear in different shades of blue color: a deep blue with a slight green tone, known as London blue; a highly saturated medium blue known as Swiss blue; and a bright light-blue known as sky blue. Other terms used for Blue Topaz: super blue or maxi blue. Where to hunt for this coveted gem? The area of Ouro Preto, in Minas Gerais, is the world’s largest source of Imperial Topaz and Red Topaz. One of the most important mines in this area is Capao Mine. It is needed to go through 100 excavations to get 1 rough Imperial Topaz. Most of the Rough Imperial Topazes measure less than 2.5 x 10 cm, but an impressive 200 kg crude specimen has once come to light. In the area of the Ghundao Hill, Pakistan, pink and red Topazes are found. Pink Topaz from Pakistan deserves more detailed discussion as it comes in crystals of top quality, and does not even need any treatment. Pink Topaz from Pakistan reaches its maximum value when it appears in a vivid purplish pink. This color is called Cyclamen Pink. One of the largest Topaz mines in the world is in Utah, at Topaz Mountain. This mine offers numerous tours to satisfy the curiosity of tourists. 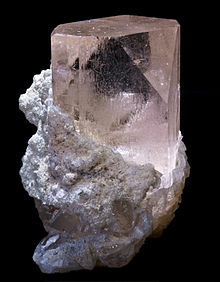 Among the main properties of the Topaz there is cleavage in one direction, parallel to the base of the crystal. This type of cleavage gemologists defined as basal cleavage. The basal cleavage forces the cutter to be extremely careful during the cutting process. It must be taken into account by the wearer who must handle this gemstone with care. A strong blow could break it, for this reason it is recommended to mount it in protective settings in rings, or set in earrings or pendants that are less likely to be subjected to a sharp blow. You should also avoid the ultrasound machine when time comes to clean it. Bezel setting is definitely preferable. Bezel setting entails a strip of metal that encircles the gem, holding it securely in place. Topaz is a versatile gemstone, and it’s a natural choice for many types of jewelry, such as rings, necklaces, pendants, and bracelets.